When it comes to servicing your Acura, you shouldn’t settle for anything less than the best. 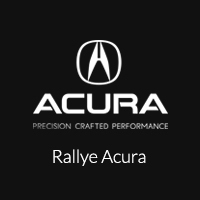 Rallye Acura only uses Genuine Acura Maintenance Parts, which offer a flawless fit to help protect your Acura’s superior performance. Don’t trust your vehicle with parts that may not have been designed for your vehicle. Each part is specifically designed to fig your vehicle and is engineered to complement the innovative technologies that Acura is known for. Acura Genuine Maintenance Parts meet the original equipment (OEM) standards for endurance to ensure a quality match for your vehicle. When you purchase parts from our dealership, you can rest assured that you are getting the highest quality parts from experts that know your vehicle.